Featured Deceased Brother for February 2016 – Donald Edward Kerr (1862-1943) – Temple Lodge, No.33, Duncan, B.C. Temple Lodge. No.33 is starting a new monthly feature on our website to promote awareness of our Lodge history and our Deceased Brethren. Each month we will feature a different deceased member of Temple Lodge, No.33. Our featured Deceased Brother for February 2016 is M.W.B. Donald Edward Kerr, Grand Master of B.C. & Yukon in 1930-31. Most Worshipful Brother Donald Edward Kerr (1862-1943) was born in Woodstock, Ontario in 1862. He was initiated, passed and raised in Corinthian Lodge, No. 27, Rossland, B.C., in 1898. He moved to Duncan, B.C. where he practised as a dental surgeon. He affiliated with Temple Lodge, No. 33 in 1919 and remained a member until his death in 1943. He served as Grand Master of B.C. in 1930-31. “Kerr – One of the best known and most widely esteemed in Cowichan and throughout B.C. was Dr. Donald Edward Kerr, who died in Vancouver on Thursday. A native of Woodstock, Ontario, where he was educated, he spent some time in the U.S.A. before he came to B.C. He resided at Somenos with Mr. E.S. Wood, now of Kamloops, who tutored him for the examination in teacher’s certificate. In this he headed his class. He taught for two years at Cedar Hill, then at Boy’s Central School, Victoria. Following his marriage to Miss Christina Thomson, Saanich, he left for Philadelphia to study dentistry, graduating in 1891. He started his practice in the early days of Rossland and spent several years there before coming back to the Island. He practised at the smaller Island towns for a day or more a week for some time, visiting them in turn, but confined himself to Duncan nearly thirty years ago. Here, for some twenty years, he identified himself with every progressive measure. He was president of Duncan Board of Trade, of Cowichan Golf Club, and prominent in many district activities. His was a most lovable character. As a public speaker he had few equals. It was in Masonic circles that his influence was perhaps most widely felt. He joined the craft at Rossland, affiliated with Temple Lodge, No. 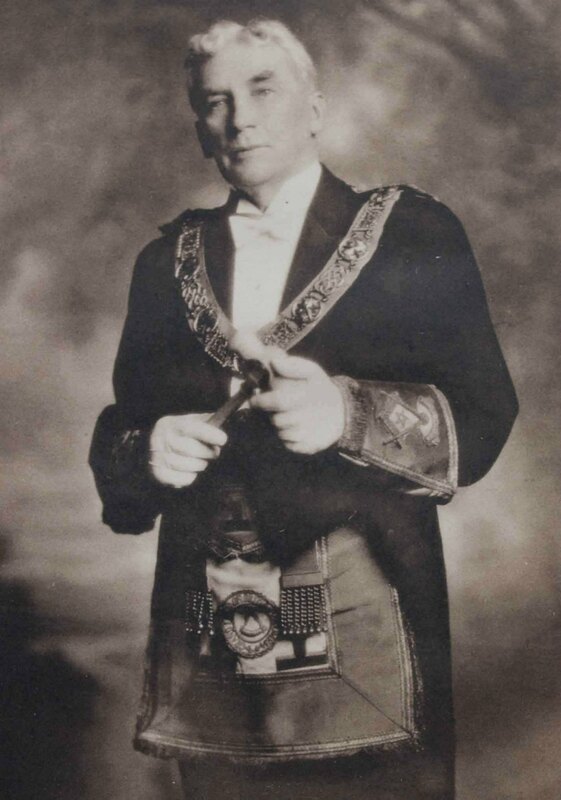 33, Duncan, in 1919, served as D.D.G.M., and in 1930 was chosen Grand Master of the whole of B.C. he was made honorary life member of Temple Lodge in 1931 and also of Chemainus Lodge, No. 114. He was one of the founders of Tzouhalem Chapter, Royal Arch Masons, Duncan. Following his retirement he resided for some years in Victoria, where he was a member of the Pacific Club. He moved to Vancouver last year. 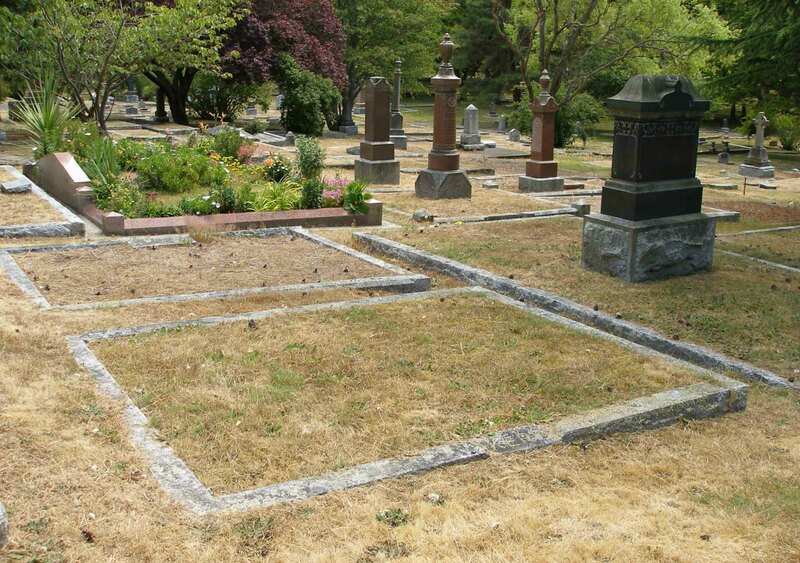 There, by his wish, his body was cremated and on Saturday the ashes were deposited in the family grave at Ross Bay Cemetery, Victoria, with full Masonic honors. The service was under the auspices of Vancouver and Quadra Lodge, No. 2, at the request of Temple Lodge, whose W.M., Wor. Bro. D.J. Shand, took part in the ceremonies, as did M.W.Bro. W.P. Marchant, Grand Master of B.C. At the Thompson Funeral Home, and at the graveside, services were conducted by the Rev. Canon H.V. Hitchcox. Among the pallbearers were Mr. Stanley Gordon, Lake Cowichan, and Mr. James Grieg, Duncan. “As I surrender the gavel of my office, the thought comes to me, could I have done anything more? Could I have made greater sacrifices? But it is too late now, for my day’s work as Grand Master is finished. Brethren, unless the traditions of the past are sacred to us, unless we preserve the character of our i nstitutions, we too will go down as other nations. There are many problems whic confront us to-day, problems which can only be solved by the exercise of our utmost courage and wisdom. Let us labour earnestly, each in his own sphere, each according to the measure of his ability. Go forth and be one of those who are helping to achieve a better future. `Most Worshipful Brother Donald Edward Kerr was born in Woodstock, Ontario, in 1862, and was initiated, passed and raised in Corinthian Lodge, No. 27, in 1898. He affiliated with Temple Lodge, No. 33, and served as Grand Master in 1930. He died at Vancouver on June 10th, 1943. His ashes were deposited in Ross Bay Cemetery, Victoria, B.C., by the officers and members of Vancouver and Quadra Lodge, No. 2, assisted by the Worshipful Master of Temple Lodge, No. 33. Most Worshipful Bro. Kerr will be greatly missed on Vancouver Island, especially in the town of Duncan, where he spent so many years practising his chosen profession – that of dental surgeon. Donald Edward Kerr is buried in Ross Bay Cemetery, Victoria, B.C. Donald Edward Kerr grave, Ross Bay cemetery, Victoria, B.C. See our permanent webpage for M.W.B. Donald Edward Kerr.